Ald. Ann Rainey (8th) speaks at a city meeting. Rainey is being accused of violating Evanston’s Code of Ethics. Evanston’s Board of Ethics will hear complaints against Ald. Ann Rainey (8th) in October that allege she has violated the city’s Code of Ethics. The complaints, which were brought forward by three Evanston residents, accuse Rainey of cursing at and threatening a resident, as well as inapporpriately forwarding emails. Rainey declined to comment on the allegations. The email in question pertains to the Harley Clarke Mansion, a local historic landmark sitting on the lakefront north of campus. In late July, City Council voted 5-3 to move forward with the demolition of the mansion, which will be financed by private donors that make up the Evanston Lighthouse Dunes group. An advisory referendum regarding the mansion’s demolition will be included on the ballot in November. The mansion has stood vacant since 2015, when the Evanston Art Center moved out. Ever since, residents and city officials have been grappling with whether or not to renovate the building. The vote for demolition was met with protest from many residents, who have advocated for the building’s preservation. In July, Rainey voted for demolition of the mansion, stressing the fact that discussions surrounding the mansion have taken up much time at city meetings — council has been ruminating on what to do with the building for years. The first complaint against Rainey — filed by Nancy Sreenan, an Evanston resident who supports the restoration of the mansion — alleges that she forwarded an email Sreenan sent to the City Council to members of the Evanston Lighthouse Dunes Group. According to city documents, Rainey sent the email to Charles Lewis and Nicole Kustok, who are both members of Evanston Lighthouse Dunes. In the email, Sreenan had called on council members to oppose demolition efforts. Sreenan said she knew the email would become public domain once she sent it to aldermen, but that once Rainey forwarded it to members of Evanston Lighthouse Dunes, Sreenan contends it constituted a breach in the Code of Ethics. The second complaint, brought by Evanston residents Lori Keenan and Clare Kelly, alleges that Rainey misused her power as an elected official by helping raise money for Evanston Lighthouse Dunes. Rainey is listed as a donor to the group on the city website, though the list does not specify a donor amount. Rainey sat on the Electoral Board in August, which heard three challenges to the proposed advisory referendum. Keenan and Kelly allege that Rainey told Keenan “f–k you” during the Electoral Board meeting, and “don’t mess with me” after the meeting had ended. 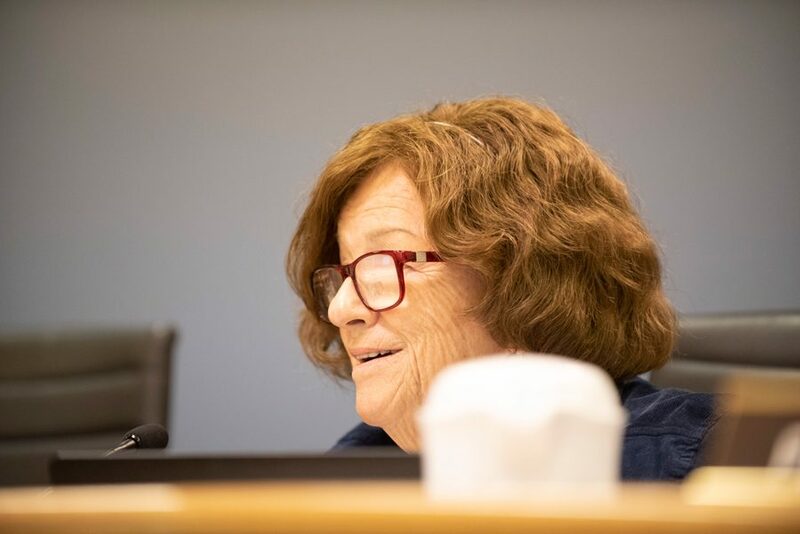 The complaints against Rainey were set to be heard at a Sept. 25 Board of Ethics meeting, but she was not in attendance. Deputy city attorney Mario Treto said the meeting will be rescheduled for a date in October. This story was updated to clarify the comments Rainey allegedly made to Keenan on the day of the Electoral Board meeting. Correction: A previous version of this story misattributed a quote from Clare Kelly. The Daily regrets the error.